When Peggy and Bill Shiffick moved to Houston from New York in 1946, they didn't simply unpack the furniture, they helped build their new hometown. Their influence can be seen throughout the city, from the books they helped acquire at the Houston Public Library, to the downtown Foley's department store (now Macy's) whose construction Bill supervised, to the University of Houston's Channel 8 — the nation's first public television station, which Peggy helped launch as a volunteer. William "Bill" Shiffick was a graduate of New York University, who, during World War II, served in the Army Corps of Engineers in the Middle East and Far East. Bill Shiffick joined Foley's Department Store in Houston in 1947 as building superintendent in charge of operations and control. He had previously worked as a mechanical engineer with the construction firm that built the Foley's downtown location. Bill's career with Foley's thrived for more than 40 years, culminating in the title of senior vice president, operations. 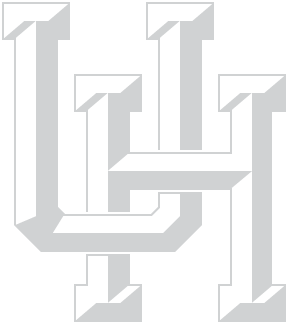 Today, the Shifficks' love for the University of Houston and its students lives on through the Peggy and Bill Shiffick Charitable Foundation, which Peggy and Bill funded through their estate to provide annual need-based, full-ride scholarships (in perpetuity) to students at the University of Houston and two other local universities. Collectively known as the "Shiffick Scholars," the students are a fitting tribute to Peggy and Bill's dedication to building better communities in Houston and beyond. The Shifficks supported many other organizations during their lifetimes, including the Museum of Fine Arts, the Alley Theatre, the Houston Symphony and the Park People. To learn how you can support students in need, discover the many benefits of a gift in your will. It's simple to set up and it won't affect your current income. Contact Andrea Olczak at 713-743-6313 or giftplanning@uh.edu.